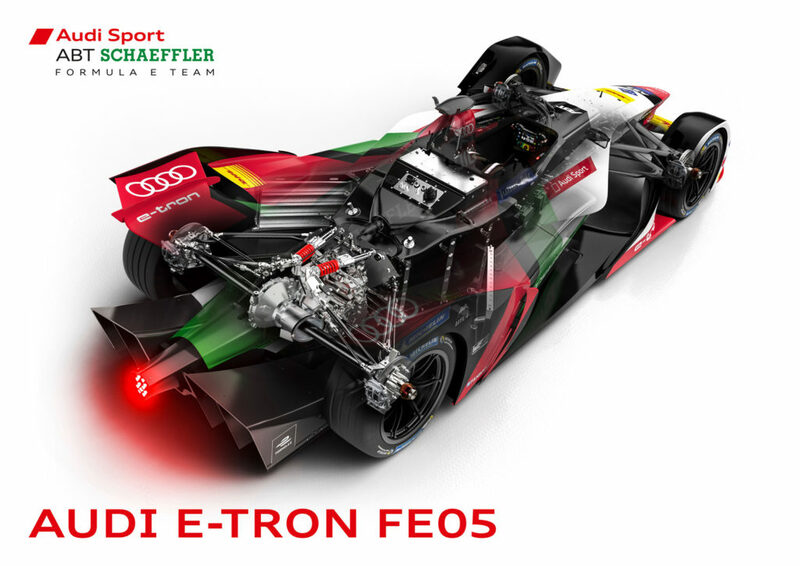 Audi has unveiled its newly developed e-tron FE05. With the new challenger, Audi has prepared meticulously for the new technical and strategic challenges of the 2018/19 Formula E season. This is particularly true of the key component at the heart of the Audi e-tron FE05: the drivetrain. The motor generator unit, dubbed the Audi Schaeffler MGU03, was jointly developed by Audi and its technology partner Schaeffler. Engineers put particular emphasis on making the package even more efficient and further increasing its level of effectiveness. 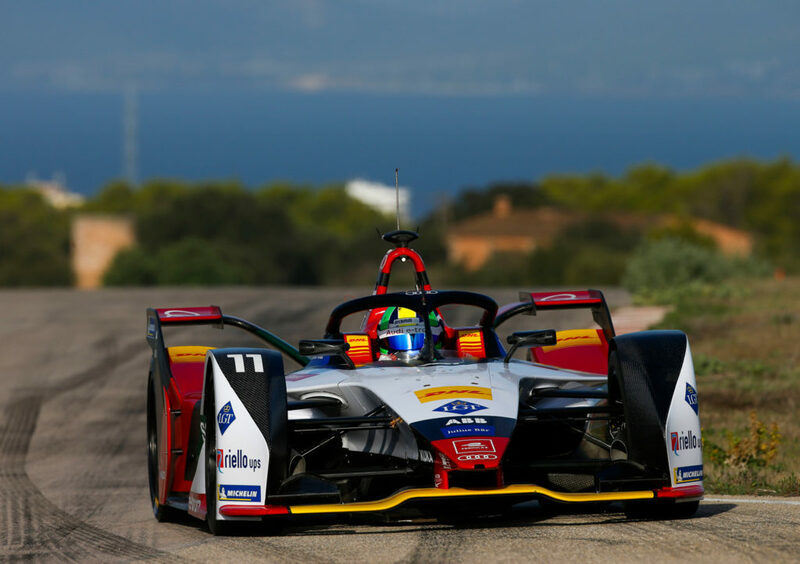 “We retained the basic concept with one gear and at the same time refined the details and manufactured all of the parts,” said Tristan Summerscale, Formula E project leader at Audi. The drivetrain parts are 95% new, and the engineers were able to shave 10% off the weight. For the fifth season of Formula E, the motor is permitted to produce up to 340bhp in qualifying. In the race, the output is capped at 272bhp. In the new activation zones, drivers can briefly access a higher power mode of 306bhp. All Formula E teams draw electricity from identical McLaren batteries weighing 374kg. The lithium-ion battery is mounted between the driver’s seat and the powertrain. It has a capacity of 52kWh and can be charged within 45 minutes. A completely new development for the fifth season is the brake-by-wire system. Brake control and transmission to the rear axle are decoupled from each other and electronically controlled. The brake balance is therefore always optimally distributed, and recuperation becomes even more efficient. Like in Formula 1, the driver sits in a monocoque made of carbon fiber, developed to comply with FIA safety standards. CFRP crash structures at the front, rear and sides provide maximum safety. The minimum weight of a Formula E race car is 900kg (including the driver). The electric race car accelerates from 0-100 km/h in 3.1 seconds. Top speed is 240km/h.